Firstly, some simply amazing fan art from two of our artistically-gifted international viewers. Let's start with two drawings from Karamelcraft. A rendering of a mighty and noble Toffee, and best wishes for the newly arrived kittens. Wow! Karamelcraft, you are amazing! Not to be outdone, viewer and fan Merly Birds has sent us art of all four of the remaining current class, enjoying their morning routines. Merly, you are a fan of us, and we are a fan of you! Such a wonderful image, and great work on the collars -- I'm amazed you could tell what patterns Custard and Shortcake had! 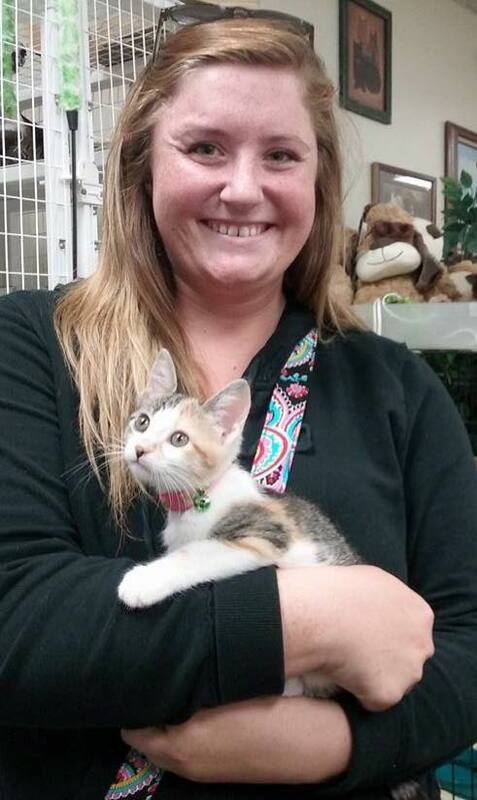 Finally, Pudding was adopted. Pudding was actually adopted a week before her graduation, so I know that her new family already loves her and she'll be well cared for forever. 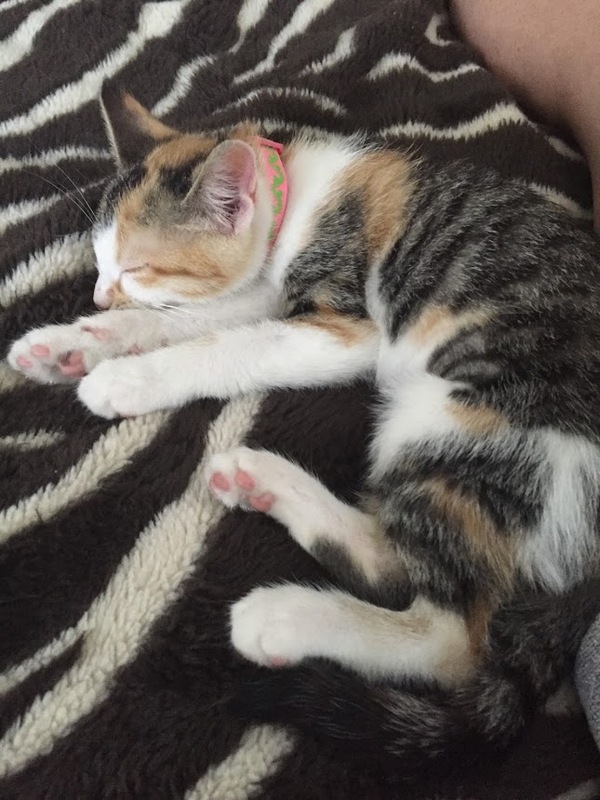 Here's the photo from the adoption, and proving that the new home is great, a photo they sent us of Pudding relaxing after exploring her new home. We'll miss you, Pudding, but we know you're going to have a great life! Just a reminder: Biscuit, Lt. Broccoli, Vikki, and Spot are still at On Angel's Wings, waiting for their forever homes! These are all top graduates and would make excellent pets!